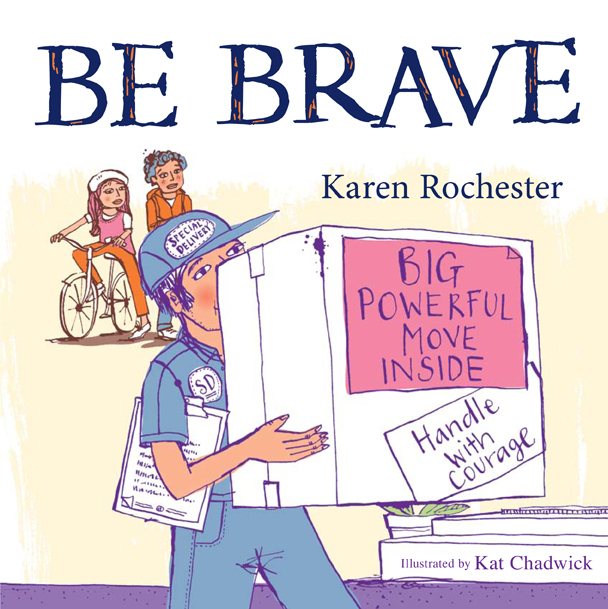 'Be Brave' was published in 2011 and came about originally from writing for therapy. After my serious motor vehicle accident in 1992, I discovered I was suffering from extreme and debilitating emotions. My world seemed out of control and I found it very difficult to live a normal and productive life even though I tried extremely hard to make it look as though everything was normal and OK. This in itself takes a lot of effort and energy. The physical injuries I suffered from my car accident certainly didn't make things any easier. I was very fortunate to start seeing a wonderful psychiatrist and psychologist who realised that, while the motor vehicle accident had left me with Post Traumatic Stress Disorder (PTSD), there were more complex issues surrounding the extreme emotions and psychological distress I was displaying. As time went on, we built an amazing trust relationship and it was only then that I found the courage to tell them that I had been sexually assaulted and abused when I was 10 years old by a trusted extended family member (maternal grandfather). After that they then helped me unlock a lot of the details of that trauma which I had suppressed for nearly 25 years and helped me to implement management techniques and strategies to help me get my life back on track. My psychologist encouraged me to write and as I did, I discovered that I didn't write anything about one specific or particular trauma; what I wrote about was the extreme emotions that had been 'unlocked' by my accident as well as the added psychological distress the accident itself had contributed to my desperate emotional state. They were compounding traumas. It was during this time of learning, discovery and understanding that I started to focus on possible solutions to these extreme feelings and emotions instead of the actual causes and thus 'Be Brave' was conceived. I couldn't find a voice when I was 10 years old to tell anyone what had happened to me. Later, as an adult after my accident, I still found it extremely difficult to explain the often severe and uncontrollable feelings and emotions I was experiencing. Finally though, with a lot of help and support provided by my family, friends, therapists and specialists, I realised that if I was to be part of my own rehabilitation, part of my own healing, I needed to "be brave" myself and tell someone what happened to me, share my story and make my book available for those in need. In doing so, I hope to help other children find their voice before the traumas of their childhood potentially ruin the rest of their lives. I am very fortunate to have a wonderful and compassionate husband, supportive family and friends and an extremely professional and caring psychological team. I am so very grateful to you all for your love, your understanding and your endless patience. "In the fifteen years that I have been working with adult survivors of childhood abuse, it continues to amaze me how difficult the disclosure of abuse is, even decades after the event has occurred. Many of my clients have kept their secret for years and meantime managed to build a life, have children and develop a career. To say that this requires great courage is an understatement. The potency of the secrets they have kept in many cases is enormous in terms of their capacity to direct and determine how these people think about the world and in particular about themselves. For many, they have not disclosed because of the threats of retribution and punishment that have been made – the repertoire of terror that perpetrators choose from in order to keep their victims quiet is seemingly endless. Alternatively, the acts of abuse themselves have been framed as so ‘special’ that children are convinced that to tell others would cause jealousy and dissent on the part of those who can’t share these wonderful events. For others, the legacy of shame is too great to share – so many survivors hold themselves responsible for the acts of horror and abuse which were committed upon them. Children are egocentric – we forget this as adults – and hold themselves responsible for ‘bad things’ which happen to them. This belief is so often carried into adulthood with subsequent negative effects on the survivor’s psyche and relationships. It cannot then be overemphasized, how much shame, terror, guilt, fear and a multitude of other feelings might be reduced or disappear if children and others were given the encouragement and indeed for some, the permission, to disclose their secret earlier. This is the beauty of this simple but powerful book – you can tell, you will be listened to but it does take enormous courage and bravery to do this. 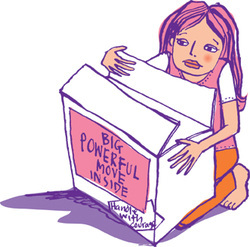 Karen knows about this firsthand – she held tightly onto the secret of her childhood trauma for many years fearing what might happen if she actually put into words the awfulness of her experiences. Even highly trusted and regarded therapists were not able to tap this secret and it was after a number of years into her therapy, that finally she was able speak the words and her healing could begin. This is the message that needs to be heard, not just by the victims but by those who are in a position to hear these secrets. The act of disclosure is the beginning of the healing process – so long as the secret remains that, it will continue to exert its damaging influence over the sufferer. Those who are in the privileged position of being able to hear, accept and believe these precious disclosures are in a unique position to start a process which may have a profoundly beneficial impact on the life of the person – adult or child. You don’t need to be a highly trained professional – just someone who cares enough to listen and believe and honour this amazing act of courage to which you are bearing witness. My hope is that this book will help encourage and disseminate this message thereby reducing the tragic legacy of emotional pain that disables so many. The benefits of this to survivors in terms of reducing the stigma and shame of abuse are clear but there are wider benefits to society in terms of there being wider recognition of the prevalence and impact of childhood abuse on our society and developing more effective strategies for both its prevention and amelioration of its effects."